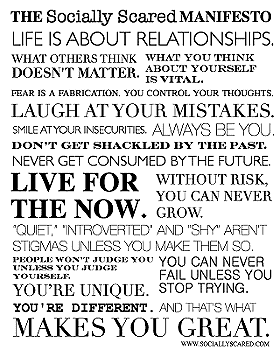 Inspired by Holstee, here is the manifesto for Socially Scared. I created it because I believe it illustrates perfectly what the core values of this site are. 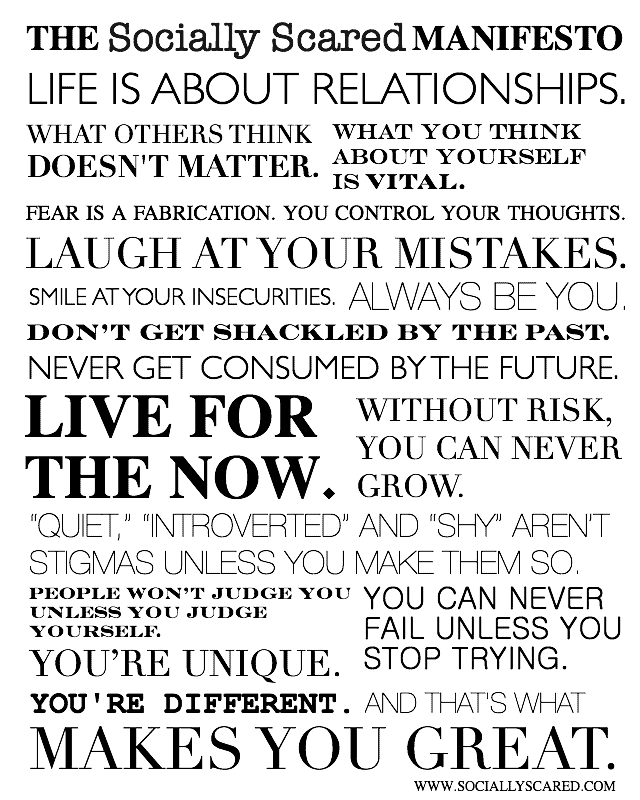 If you feel inspired by this manifesto, or if it merely makes you smile, please send it to one friend or family member who you feel would greatly benefit from reading it. This manifesto is copyrighted by Socially Scared.